More than 100 children in 34 states developed polio-like paralysis in an arm or a leg since a respiratory outbreak last August. A study published in The Lancet medical journal said a strain of enterovirus D68 is probably the leading culprit. Between August and October 2014, reports began to surface of an increasing number of children admitted to hospitals in a number of states, all involving a respiratory illness with neurological complications. In the end, as many as 115 children from 34 states were infected. The illness was identified as being caused by enterovirus D68, but the neurological complaints leading to partial paralysis was new. Researchers at the University of California, San Francisco used genetic sequences obtained from the virus, which were cultured from 25 children with limb paralysis in Colorado and California between November 2013 and October 2014. 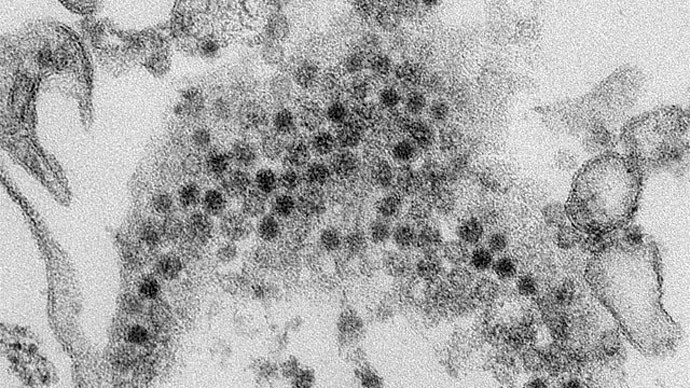 They found the viruses were genetically very similar, sharing mutations founded in the polio virus genome, but they also identified a novel strain of enterovirus D68 which they called B1 and identified as emerging four years ago. “I don’t think it’s coincidental that it’s around the time the first cases were described,” said Dr. Charles Chiu, the study’s senior author, tothe New York Times. The research group was able to identify the strain through a blood sample taken from a 6-year-old boy who had been taken to the Children’s Hospital in Los Angeles complaining of trouble moving his left leg. “We were fortunate to detect it,” Dr. Chiu told the newspaper. “[Usually] we are diagnosing these cases after the fact, when the sample you want is the one taken when they start developing symptoms. The newstudy, however, shows that not every child infected with the strain will develop paralysis. One sibling pair was infected, but another school-aged girl suffered paralysis in both arms and her torso while her younger brother experienced no lasting effects. Two children died in Rhode Island and New Jersey during the outbreak, but the role of the virus is unclear. The US Centers for Disease Control and Prevention (CDC) asked hospitals across North America to report patients aged 21 years or younger who have developed limb weakness and who had an MRI examination that showed abnormalities in spinal cord nerve tissue. The Lancet report said enterovirus D68 was first isolated from children with lower respiratory tract infections in California in 1962. After its initial identification, there were few cases reported until the early 2000s, when outbreaks occurred worldwide. More than 1,000 cases were reported across almost all states in the US during autumn 2014.